The Bodymax B2 Exercise Bike is a high-quality fitness machine that’s offered at an affordable price range. It has a smooth 13kg flywheel that ensures an effective workout, and it claims to be extremely comfortable to use, plus, it’s now made even better thanks to a stylish new design. With its fun colour and sturdy-looking frame, this exercise bike will surely attract buyers at first glance. But is it a good buy for its price? Let’s take a closer look at this model to find out! The Bodymax B2 Exercise Bike is certified by the German TUV standards of design and safety which are very demanding when it comes to the quality of the equipment. This proves that this spin bike is of very solid construction and it’s safe to use, it can even hold a maximum user weight of 125 kg. Even those who have already purchased the product left reviews attesting to the fact that it’s a durable and smooth piece of equipment. To provide an effective workout, the Bodymax B2 Exercise Bike features a super-smooth 13kg flywheel and a quick release tension adjuster that gives you a good range of resistance. Also, this model is chain-driven to stimulate the feeling of riding a bike outdoors. Exercise bikes aren’t the most comfortable fitness machines to use. But with the Bodymax B2 Exercise Bike, you can adjust the seat vertically and horizontally, depending on your most comfortable riding position. This will help you feel at ease even after using the equipment for a long time. 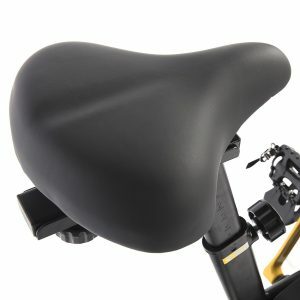 In addition, this exercise has foam covered ergonomic handlebars which you can also adjust to your liking. 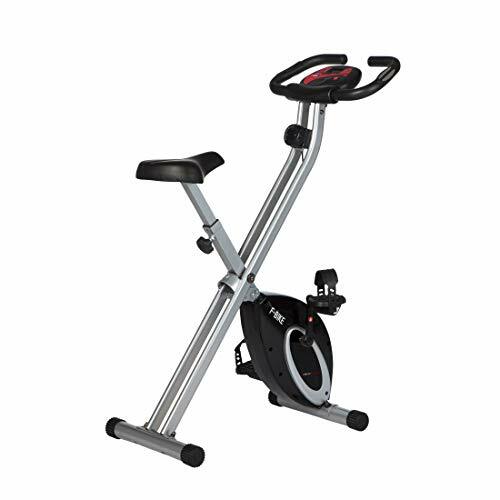 This exercise bike also features a 3-piece crank and balanced pedals with foot straps to keep your feet in place no matter how intense your work out. 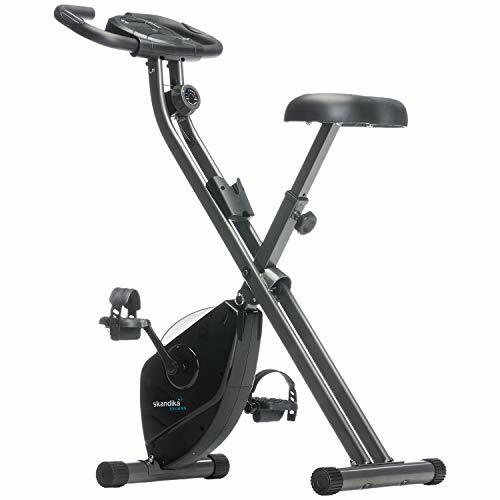 The Bodymax B2 Exercise Bike has a larger LCD display compared to similar models within its price range. You can easily keep track of your progress with its multi-function monitor that shows time, speed, distance, RPM, calories, temperature and pulse. However, to monitor your pulse rate, you will need to purchase an additional chest strap as it’s not included in the package. If you want to transport the Bodymax B2 Exercise Bike in a storage room after use, you can quickly do it by yourself as it has transport wheels. You don’t need to lift this heavy equipment to keep it out of sight when you want to enjoy your personal space at home. If you have limited space at home, you might want to allocate an area for the Bodymax B2 Exercise Bike because it’s not foldable. In addition, the maximum height of the seat isn’t enough for users taller than 6’4, so they might not be able to use it efficiently. However, if these points are not an issue for you, then this exercise bike will give you a great value for your money. A lot of customers said that the product was delivered in no time and it’s easy to assemble which makes it strongly recommended. 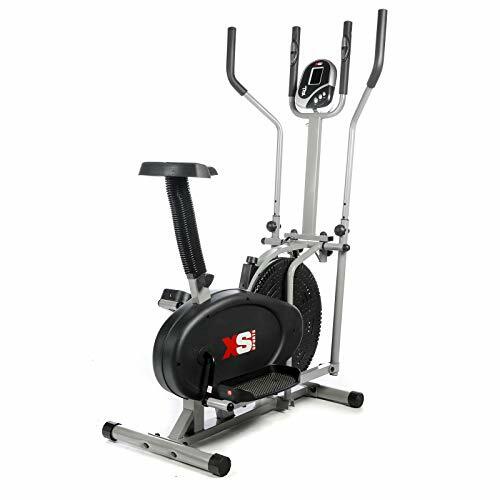 The Ultrasport F-Bike is an excellent choice for those who are looking for an affordable yet durable exercise bike. This low-priced spin bike is an Amazon UK choice, and it’s no surprise why. 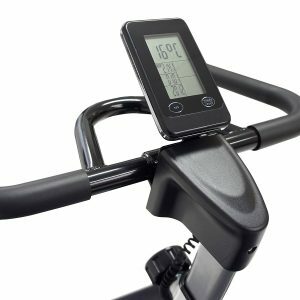 It has integrated pulse sensors on the handlebars, which is rare to find in a budget exercise bike. It’s also compact and foldable so you can keep it in the smallest spaces in your house. 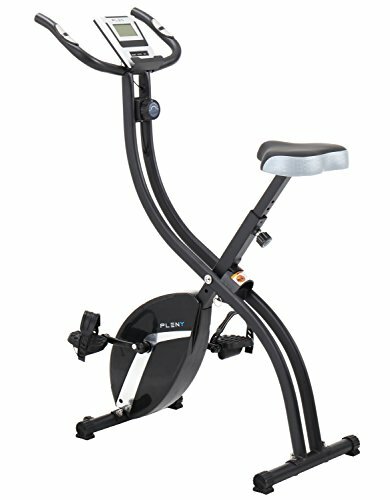 This exercise bike has a maximum user weight of 100 kg, and it has an adjustable seat so various users can workout with it. In addition, the Ultrasport F-Bike has eight magnetic resistance levels to add intensity to your workout. Ultrasport F-Bike Detailed Review? CLICK HERE. If you’re looking for a more challenging workout, go for the Pleny Foldable Fitness Exercise Bike. This model has 16 levels of magnetic resistance which can be helpful whether you’re training your leg muscles, trying to lose weight, or maintaining a healthy lifestyle. It also has a high-end curved crank arm to prevent your heel from knocking on the crankset (OUCH!). The Pleny Foldable Fitness Exercise Bike boasts of a heavy duty steel construction frame yet it’s lightweight. It’s also foldable and has built-in wheels so storage won’t be a problem even when in limited spaces. This Skandika Foldaway Exercise Bike is highly recommended by a lot of its customers on Amazon UK. This sleek exercise bike has hand pulse sensors and eight levels of manually adjustable magnetic resistance to add intensity to your workout. It also has a wide padded seat and ergonomic pedals with safety straps to help workout for a longer time. The Skandika Foldaway Exercise Bike has a maximum user weight of 110kg which makes it seem sturdy. This model, as stated in its name, is a “foldaway” exercise bike and has built-in transport wheels to make it easier to move around the house. Whereas if you want to save up some money but still want a home gym with complete equipment, the XS Sports Pro 2-in-1 Elliptical Cross Trainer is the best option. As seen from the name itself, this piece of equipment functions as both an exercise bike and a cross trainer, so you can get a full body workout with just one machine. 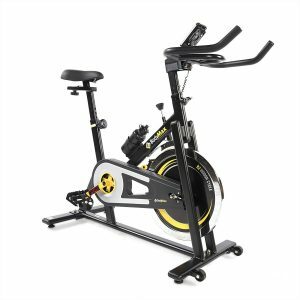 It has a chain-driven flywheel with adjustable resistance to help you get efficient exercise. It has a maximum user weight of 110kg which ensures that it’s stable and has built-in wheels for easier transportation. XS Sports Pro 2-in-1 Elliptical Cross Trainer Detailed Review? CLICK HERE. There are a lot of lower-priced models than the Bodymax B2 Exercise Bike, but it’s worth paying the more if you’re sure about the durability of the equipment. The Bodymax B2 Exercise Bike has no built-in programmes or any advanced features, but the solid frame construction and the quality that will last a lifetime will give you the best value for your money. 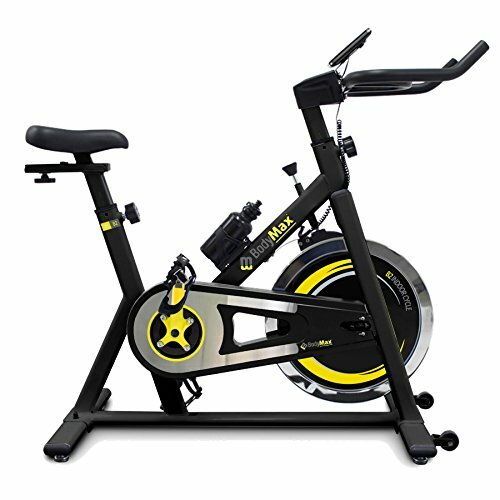 If you want to look at other exercise bikes, we have detailed reviews on Best Exercise Bike Under £200, Best Exercise Bike for Home Use and Best Exercise Bike for Weight Loss.